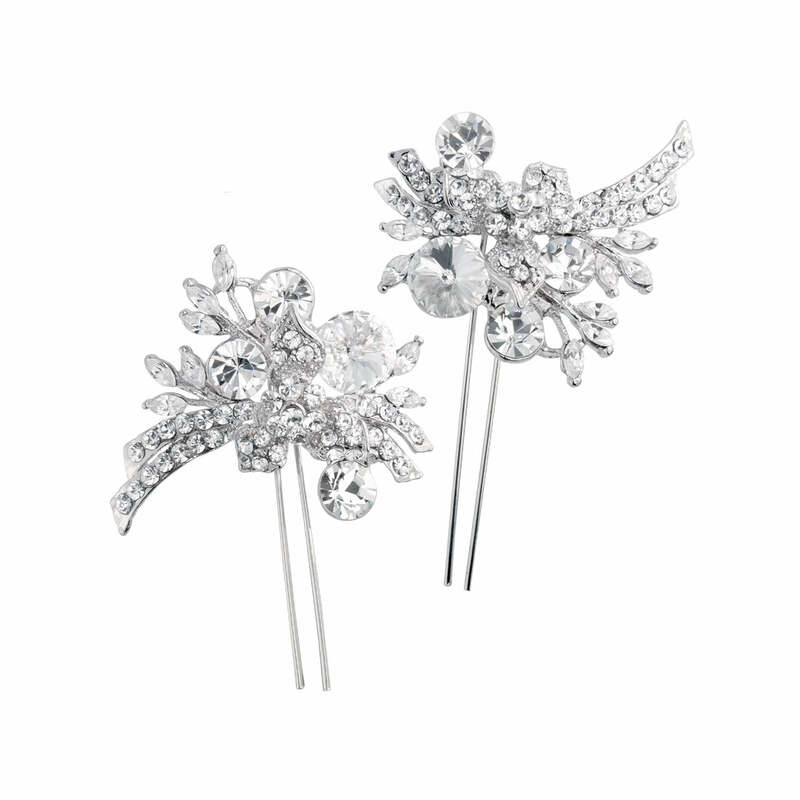 Add clusters of sparkle with these divine crystal vintage inspired hair pins. These fabulous silver tone crystal hair pins combine 1940s glamour with a hint of contemporary charm. An enchanting vintage inspired design with a floral centre enhanced with sparkling crystal studded stems and large crystals. These are beautiful wedding hair pins for brides who adore subtle vintage hair accessories or wish to add extra sparkle to a statement headpiece. Set on a two prong pin, Enchanting Sparkle Hair Pins are perfect to dress a classic up-do with chic style. Cluster them together in a romantic side chignon, pin along an elegant French pleat or decorate loosely curled half-up half-down styles. For a dramatic head-turning look, scatter several pairs randomly in the hair or wear to coordinate Enchanting Sparkle Hair Comb.